Even the principles of the Direct Method of teaching English insist on grammar teaching without dogmatizing on the Inductive method which is closely followed in the treatment of the subject in thls 'book which contains copious exercises of a varied and graded nature. It has come to be regarded as axiomatic that a foreign gratmar should be written and taught through the mother tongue of the papils. 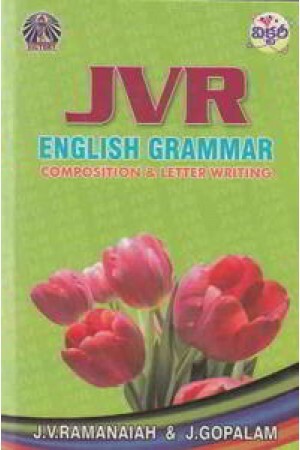 Hence Telugu, the regional language is used as the medium of in-Struction, but the technical terms and retained in English for two rea-sons: first their use would prepare the pupils for later analytical or his-torical study of English Grammar, secondly, the differences in structure between English and Telugu render many, if not most, Telugu Grammati-cal terms inapplicable. Telugu usages are compared with those English in respect of : (1) the order of Subject, Verb and Object, (2) the position of : (a) Prepo-sition and its object and, (b) the iun (or pronoun) and the adjective clause qualifying it Textbooks may not lend themselves to be used to cover the gram-mar course prescribed for the several classes. The present day texts are worse, in as much as constructing lessons with a view to drilling structures is artificial, and it is like putting the cart before the horse. So it seems to be necessary to teach grammar independently also. It is necessary to labour again as a new lesson in the process of arriving at a definition of a part of speech already familiar in Telugu; all that is required is to refer to the Telugu definition. Pupils must be made to learn by heart sample or typical sentences for reference and guidance; for an abstract rule leaves the pupils blind.